Did you know that plans for a new 100 vehicle car & coach park were recently supported by your Parish Council? If your answer is 'NO', then you are not on your own because neither did many of the neighbouring residents! Laurence gives the proposal the 'thumbs down'. In a green belt area such a development is wholly inappropriate not just in terms of its impact on the scenic features but also on wildlife. In the recent past we are aware that deer have birthed in the adjacent field which clearly will not happen if the car park goes ahead. Golf Club traffic as well as vehicles coming up to the dwellings make this a busy road anyway without your proposed car park. Surely you should consider the additional vehicles and pedestrians in terms of safety. There is no footpath on the side of the road so pedestrians will have to cross the road where it is already busy. I understand this application is coming from Forward Midland LLP who own the nearby offices where there is underground car parking for 55 vehicles. Do you have accurate statistics to show usage rates of that car park through the day and week? If so, I would request that you supply me with those statistics. If not, I would suggest you carry out such a survey before any further consideration is given to this development. If you are contemplating this car park to relieve pressure on High Street parking I strongly doubt that it will work. The whole point about small Town/Village shopping is convenience and I question whether potential customers of high street businesses will walk the distance plus navigate the hazards mentioned in #2 above when I guess the average parking time for such reasons is relatively short. If this is correct you will be destroying a green belt area for the sake of a car park that will be relatively empty. Because the application refers to a need for parking for both the Town and for the business community it is difficult to ascertain exactly how the figures have been arrived at. Are the planners just filling the field or have these figures been arrived at by a more scientific method? Firstly, if we look at the need for the Town itself, over the years there have often been markets on the High Street and of course the mop fair is an annual event. On each of these occasions in addition to the events removing a substantial element of the existing street parking ,the Town has also had numerous additional visitors. On at least one occasion when there was a street market for three days, this particular plot of land was opened up as a temporary car parking facility but for the duration of the market not one single car parked there so even when the Town has been at its busiest there hasn’t been a need. As for the needs of Forward House, have they looked at alternative solutions? Do they have a green travel plan? They have a massive car park at the golf club and could easily put on a shuttle bus service if there was such a massive demand or have they considered the fact that we have one of the largest bus and coach companies in the region sitting on our doorstep, with hundreds of parking spaces. How about a greener more innovative approach such as setting up a mini ‘park and ride’ scheme rather than ripping up the green belt to create another coach and car park. There’s a bus stop right outside the front door and the train station is a few minutes walk away. How could the requirement for parking for Forward House be so far out of kilter with the requirements under which the building was given its original planning permission? Have these standards changed so much that they need double the parking? If not then why bother setting out ratios for car parking in the first place? In nearby Hockley Heath a substantial office development is being converted into flats due to the lack of need for office accommodation ,this car parking scheme could easily be a Trojan horse for a future ‘change of use’ , what safeguards can be put in place? Overlooking/Loss of privacy to neighbouring properties. 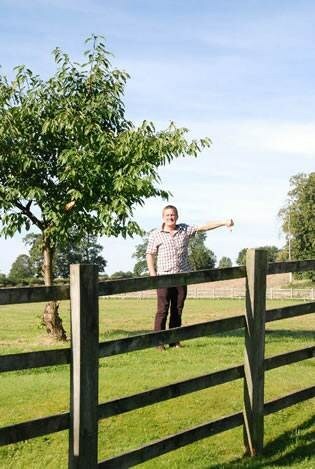 Visual amenity – it’s the beautiful approach to our town from all directions that make it such a distinctively beautiful place- please don’t rip up the green belt for the sake of an unscientific and theoretical need for more car parking. This should be the last resort not the first option. Highway safety – another 100 cars turning in and out of the entrance onto the main road will create added hazard. National Planning Policies such as Green Belt policy make this proposal by definition inappropriate development of the green belt. Nature Conservation concern for endangered species of bats, crested newts from the nearby river, birds as well as deer. Disabled persons access and safety being compromised – at this point of the main road there is already a significant risk in crossing the road but this will be even greater for disabled persons. Effect and impact on Listed Buildings of the High Street and Beaudesert Park which is mainly curtilage listed). Noise and disturbance resulting from use. Failure to consult correctly- many neighbouring residents have been denied the opportunity to influence the decision made by the Parish Council as the were not made aware of the application until the Parish Council had made their decision to support the application. Lack of formal evidence of need for additional 50 places for Forward House or for an additional 50 places for the Town – a clear case of designing the car park to fit the field rather than building a car perk to meet the need. Lack of evidence to show all of the other available options have been investigated i.e. sequential test. Creation of precedence – if the need for extra parking is considered to be an exceptional circumstance, every business in the Town could come back with the same need for additional parking and take up more of the green belt. Pollution - Henley already has serious traffic pollution problems. No mention is made of the proposal to Charge the public to use the car park during the week. No one will use it if they have to pay. It is clearly intended solely for the benefit of forward house and all the talk of benefit to the town is just a smokescreen. In any case, how will the Public use be guaranteed for the future? Under normal circumstances this ‘deficit in democracy’ would be addressed by asking our elected Stratford District Council Ward Members i.e. Cllr George Matheou and Cllr Stephen Thirlwell, to insist that the application be determined by the Area Planning Committee, so that views from all sides can be fairly considered,. However, because both of your Ward Members are in support of the application the District Council has decided that it will be these two councillors who will decide if the plans will be approved using their ‘delegated’ powers, even though there are numerous examples of applications being determined by committee because of the interest in Public opinion or because the application is blatantly against current Planning Policy. Cllr Les Goodman, Chairman of the Joint Parish Council, declared an interest in the Golf Club Car Park planning application as he is a member of the Henley Golf Club. Several residents consider that he should have withdrawn from the debate under the new rules concerning members with possible financial interests. 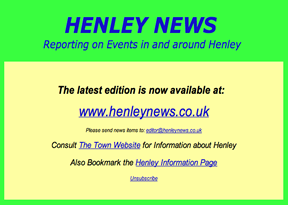 Henley NEWS has been told by a number of residents that they are considering making a complaint to the Stratford District Council Standards and Ethics Committee. These residents are also questioning whether Cllr Carsina Goodman, the Chairman's wife, should have proposed the motion supporting the planning application for her husband's golf club. They believe she should also have withdrawn. The business community in Henley has also expressed its concern over insufficient parking for its customers and this scheme would contribute towards meeting that need. That a central pedestrian refuge is created on High Street to accommodate people crossing to and from the car park to Forward House etc. The agenda for the next JPC Meeting on Monday 17th September contains an item to consider the extension of the consultation period for this planning application. HI to challenge JPC's illegal "Excommunication"
In accordance with paragraph 11(a) of the Standing Orders of the Joint Parish Council, the undersigned councillors request that the following motion is included on the agenda of the next council meeting on 17th September 2012. The decision of the Council to ban a councillor from communicating with the parish clerk or entering the parish office was taken without observing the Principles of Natural Justice and the Human Rights Act. Therefore, it should be reconsidered. Despite the resolution signed by 4 Henley Independents councillors being handed in at the last Parish Council meeting in accordance with the above Standing Order, this Rescission Motion has not been listed for discussion. This September will see the return of the much anticipated Henley-in-Arden Fashion Show sponsored by Taylor Wimpey to raise funds to pay for essential conservation and improvements to the town’s magnificent Guild Hall. The show will feature this season's new designs from some of Henley's best-loved boutiques, namely Honeys Boutique, Pamela's Boutique, Patinis, Shirlee, Studio 34 and Tessa Francis Bridal Studio. In addition, fashion students from Warwickshire College will also showcase their collections on the catwalk. The event will be compered by BBC Radio 4’s Lucy Lunt and is being co-ordinated by renowned model Fiona Kidd with four professional models taking to the catwalk to show off some of the hottest fashion trends for Autumn/Winter 2012. On the night there will be a cash bar and refreshments which are available from 7pm, while the main show starts at 7.30 pm. 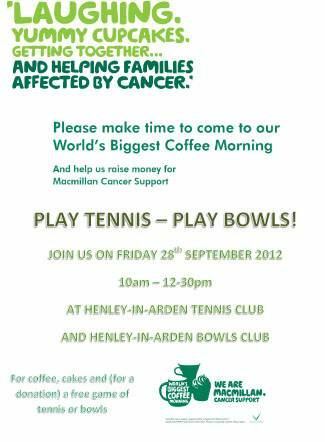 In addition there will be a raffle with outstanding prizes from the Henley boutiques. Wednesday mornings for Sara Clarke of Meadow Road would usually be spent dishing out specialist dietary advice to patients. However on 29th August, Sara, a Henley resident, – who is a Senior Specialist Dietician from Birmingham Children’s Hospital - took to the streets of London to carry the Paralympic Torch. Sara who has worked at BCH for 20 years was nominated by Stuart Reynolds who is Chief Executive of BCH Charities - for her tireless work with the hospital’s transplant games team. Nine years ago, Sara got involved with the Transplant games and soon became manager of the BCH team. This team is a group of children and young people who have had an organ transplant at BCH. As the team manager, Sara is responsible for the recruitment of competitors, organisation of the team entry, funding, accommodation and transport as well being a point of contact for over 30 patients and their families who attend. Sara carried her Torch through Barnett and was watched proudly by husband Oliver, five year old son Joseph and 2 year old daughter Elizabeth. Stuart Reynolds said: "I picked up a leaflet in my local Sainsbury's asking for nominations for someone who had inspired people to push the boundaries of what is achievable. I immediately thought of Sara and everything she does to inspire Birmingham Children's Hospital's transplant patients to compete in and achieve great results at the annual British Transplant Games. She carries out the role in her own time and in addition to a demanding day job at the Hospital and I am pleased that her contribution has been recognised by the honour of carrying the Paralympic Torch." The Guild Hall Trust held another of its fundraising evenings for the iconic building in Henley's High Street. The theme for the evening was "Heroes of Henley" and recognised the immense debt that everyone owes to our armed forces personnel: Past, Present and Future. Dawn Leech, Chamberlain to the Court Leet and Chairman of the Fundraising Committee, introduced the evening saying that The Future was represented by the band of the Band of the 1289 (Stratford-Upon-Avon) Sqn Air Training Corps, based at Stratford High School which is a uniformed youth organisation for 13-18 year olds supported by the RAF. The band played a wide selection of music at the commencement of the evening and again during the interval. 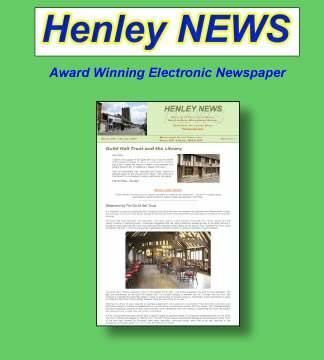 The Officer Commanding, Flight Lieutenant Richard Lamb, told Henley NEWS that they were always keen to find new recruits and he would be visiting the Hub@Henley in the autumn to meet Peter Crathorne. Dr Douglas Bridgewater, former High Bailiff and Hon Research Fellow at Centre for First World War Studies, University of Birmingham, told the story of The Past Heroes of Henley from the First World War, including Private William Bonehill MM, Captain A C Coldicott MC and Trooper Jack Hawkes of the Warwickshire Yeomanry. All the gallant men from Henley were volunteers and many were wounded several times with very large number paying the ultimate sacrifice. After the interval, Alec Murray, the Warwickshire Co-ordinator of Help for Heroes spoke about The Present and the important work this charity which was founded in Oct 2007 and has already raised over £120 million. Help for Heroes is a fundraising charity which donates much of its income to building projects, the Royal British Legion, SSAFA (Soldiers Sailors Airmen Families Association) and other service charities. Alec showed two videos about the excellent facilities that Help for Heroes has created for those wounded in current conflicts. The High Bailiff and Chamberlain of the Court Leet made a presentation to Help for Heroes at the conclusion of the evening. The sponsors for this event were: Lodders Solicitors, F Goldsmith, Henley Hotel, Henley NEWS and The Henley & Beaudesert Society. Their generous donations were greatly appreciated towards the iconic building in Henley's High Street, which receives no support from public funds. Three people were taken to hospital following a road traffic collision involving a car and two motorbikes on Hunger Hill, at approximately 4.30pm on Saturday 1st September, left one biker fighting for his life. Two ambulances, a paramedic in a rapid response vehicle; a paramedic officer, two BASICS doctors and the Warwickshire and Northamptonshire Air Ambulance attended the scene. A West Midlands Ambulance Service spokesman said: “Crews responded to a collision between a car and two motorbikes, with one of the machines reportedly bursting into flames on impact. A motorcyclist was found to be in cardiac arrest when crews arrived. 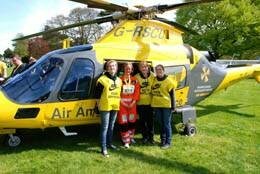 Due to the nature of the man’s injury, doctors and crews immediately started CPR and advanced life support before the patient was conveyed by air ambulance to the University Hospital of Coventry and Warwickshire. The Freelander was travelling along the A4189 from the direction of Henley and was turning right into Ullenhall Road and the two motorbikes were travelling in the opposite direction. The driver of one of the motorbikes, 32-year-old Redditch man Rafal Norbert Lorenz, died as a result of the collision and the rider of the other motorbike, a 36 year old male, suffered a fractured spine and ribs. The 75 year old driver of the Freelander suffered shock. Anyone with information about the incident is asked to contact PC David Bull in the Warwickshire Police Major Incident Unit (Roads) on 01926 415415. 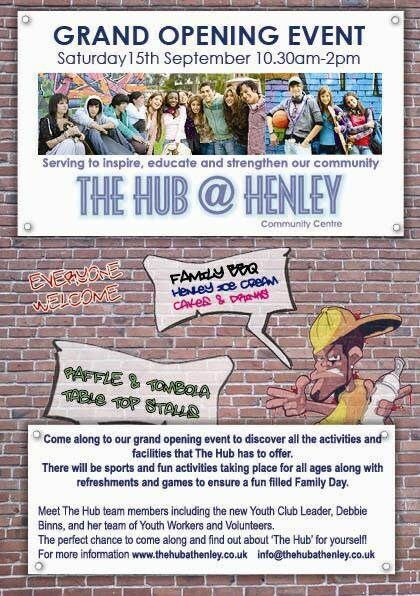 The Hub@Henley Community Centre Grand Opening! 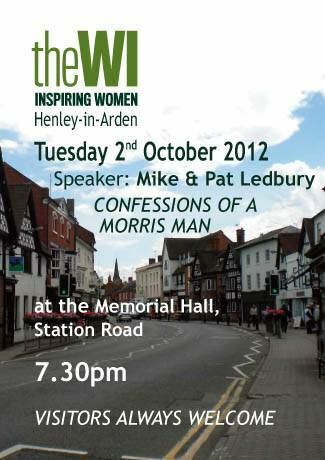 To celebrate the successful takeover of the Henley in Arden Community Centre and Youth Club (The Hub@Henley) the new management, Henley War Memorial Trust, is inviting all of its local residents and community members to come along and support the grand opening event taking place this Saturday 15th September. 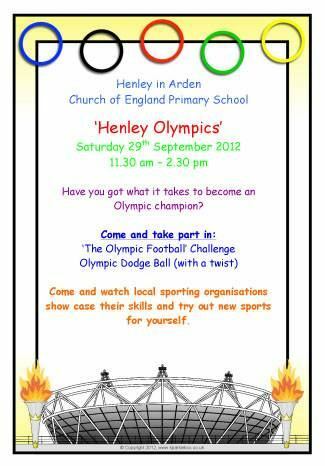 There will be sports and fun activities taking place for all ages such as cycle races, novelty sport competitions, a bouncy castle along with refreshments including a BBQ, Henley Ice Cream and Cakes also Community Information Services, Raffle and Tombola - to name but a few of the activities planned to ensure a fun filled Family Day. The Hub@Henley is a multi-purpose unit which provides a venue for a wide range of community groups including a Senior Citizens Club, Junior and Senior Youth Clubs, a New Born Baby and Toddler Group as well as being available for private hire. The Hub has enviable facilities featuring a fully equipped computer room, fitted kitchen, table tennis and pool tables, relaxing seating area and much more. 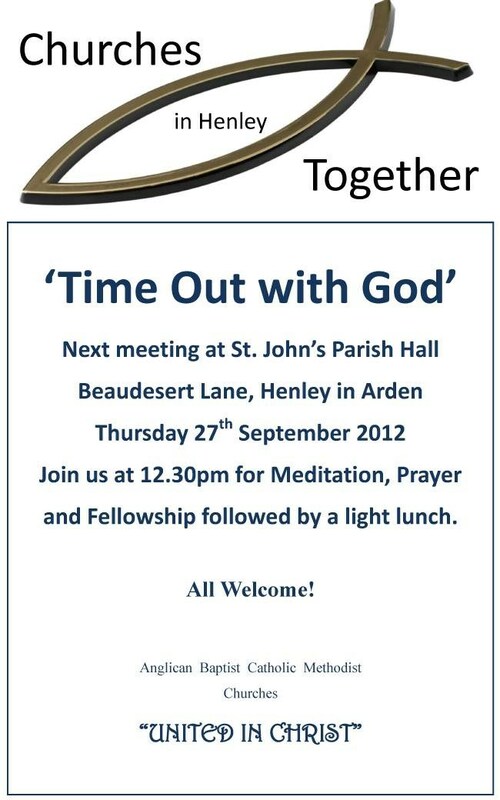 This is a perfect opportunity for the local community to come along and discover what up to now has being one of Henley's best kept secrets and find out what services and facilities are available on the doorstep! The opening event also provides the opportunity for residents to meet The Hub team members and particularly for parents and young people to meet the new Youth Club Leader, Debbie Binns, and her team of Youth Workers and Volunteers. 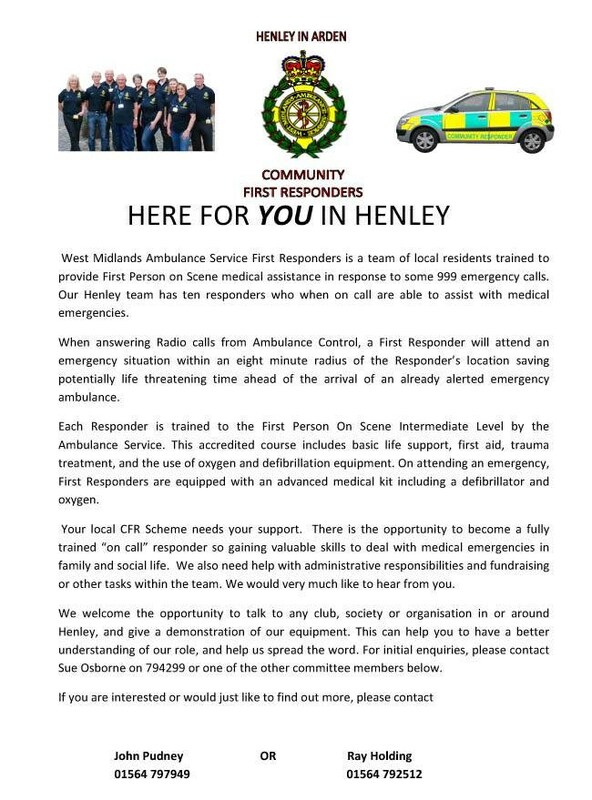 The Hub@Henley needs local support to ensure that all the hard work and commitment to secure and fund this local resource is put to the best possible use for community needs so come along and join in the fun! 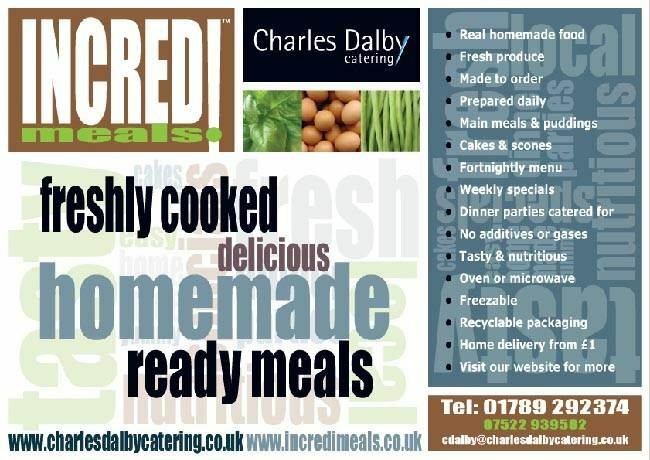 See www.thehubathenley.co.uk or call Sally on 07846167001 for more details. 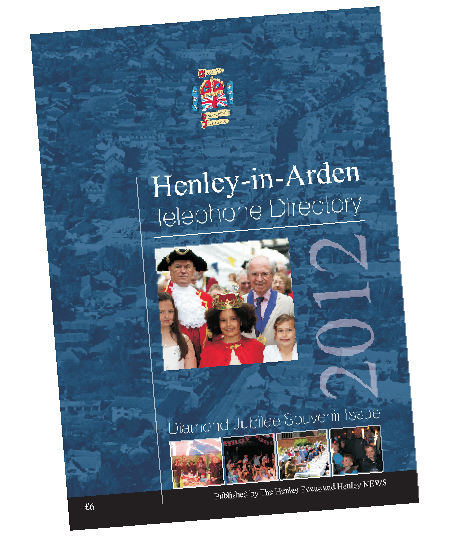 We now have a large number telephone numbers and we will be closing the entries at the end of the month. If they do not have access to a computer, they can use the attached manual input form. 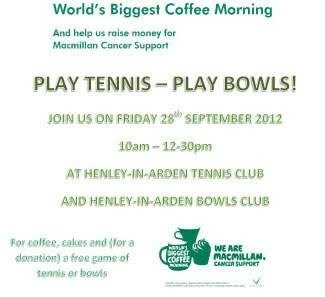 Henley Tennis Club and Henley Bowls Club are collaborating to offer residents a coffee morning with a difference. Based on the Macmillan Cancer support’s national campaign – the World’s Biggest Coffee Morning, they will be holding a get-together at the Club from 10 – 12 on Friday morning 28th September. In return for a donation to the charity you are invited to join in the social tennis at the Tennis Club and/or try your hand at bowls with expert tuition from Bowls Club members. If you don’t want to play you can watch the action and enjoy the facilities. 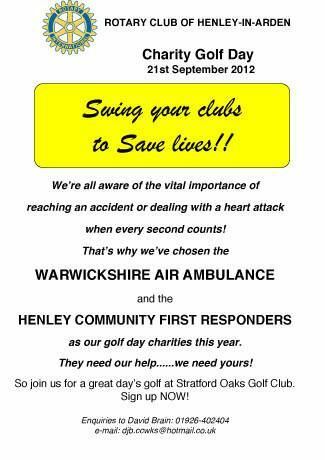 We hope you will come along and join us to support this very worthwhile charity. Stan, a-ten-year-old white tailed sea eagle, is missing from Warwick Castle. He flew off during one of the castle’s shows on Thursday at noon. He is described as mostly Brown with a white tail and is expected to be seen in a tree or on a post. He is timid and is likely to fly away when approached. These birds are native to the UK and live in Scotland so if one is spotted in this area it is likely to be Stan. On Monday, castle officials launched an urgent appeal to find him and received nearly 100 calls in response. After a reported sighting in trees near Leamington Rugby Football Club, Warwick Castle head falconer Chris O’Donnell and his team arrived at the scene at 5.30am on Tuesday. They found the eagle, which has a wingspan of more than six feet, perched in a tree off Kenilworth Road and spent the rest of the day trying to tempt him down with live bait, such as squirrel and chicken. But Stan refused to budge. It was believed he may have already eaten and wasn't feeling at all peckish. If you spot Stan call 01926 457706. A host of angels are about to descend on Henley with the opening of a major exhibition in St Johns Church which will feature some 60 angels. 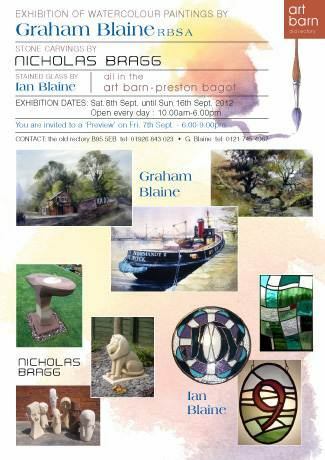 The exhibition is the brainchild of Northern artist Celia Kilner who has put together paintings, mounted on foam board. Each painting is taken from a visual representation of famous angel paintings from across the world and from across the centuries, starting in Egypt in the 5th century. The paintings are in a variety of sizes from 2'6" through to 11'6" and show angels flying, dancing and standing. 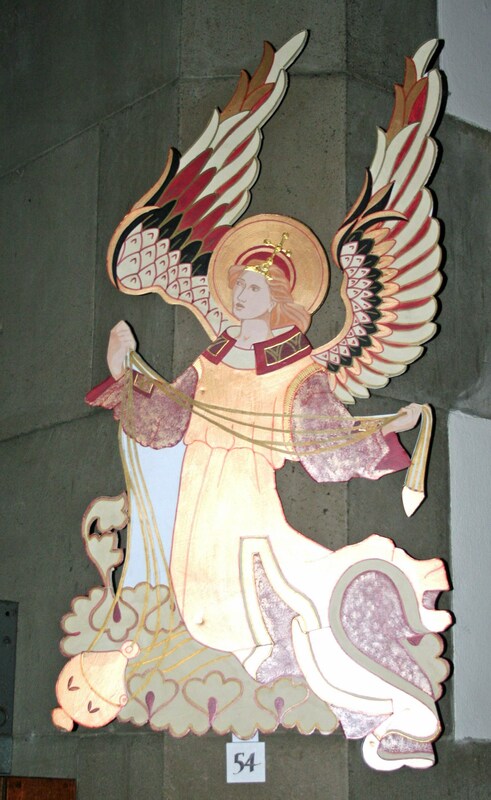 John Ganjavi, Rector of St Johns Church, said; "Many people, of all religious persuasions are intrigued by angels and we are delighted that we have been able to bring this exhibition to the town. This popular, colourful and fascinating exhibition has been touring the country since 2005 and has attracted thousands of visitors. We are hoping that the exhibition will encourage people to visit Henley, take in the exhibition and enjoy the amenities of our historic town. 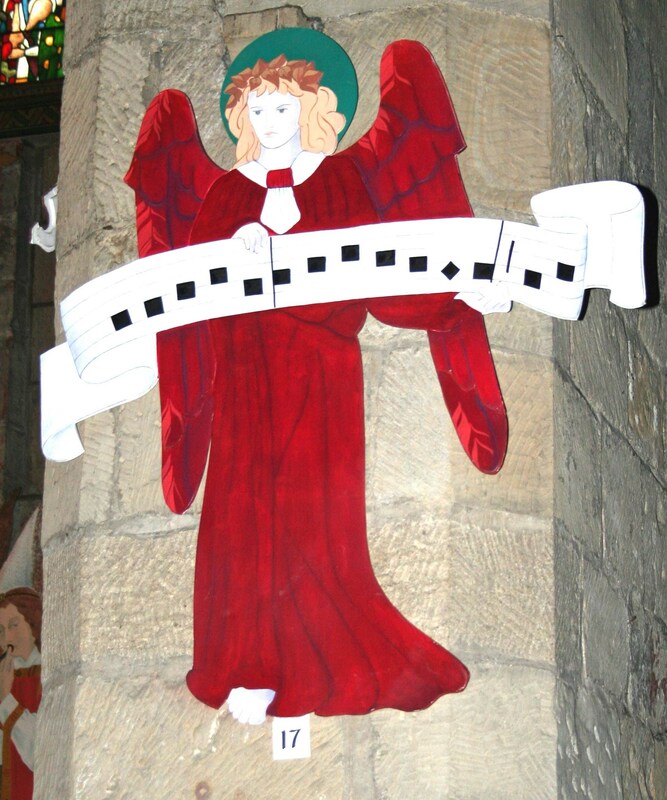 Whilst the main exhibition will be inside the Church, angels will also be displayed in many local shops bringing added colour and interest to our lovely town." Locke & England are to hold another Valuation Day at the The White Swan Hotel on Tuesday 16th October 2012 between 11.00am - 4.00pm. Locke & England's team of valuers are happy to advise on all antique & collectable items and jewellery (no appointment necessary). You are invited to bring along items for FREE auction advice without obligation. The highest scoring game of the day in the Midland Combination Division 2 started looking like it could have been a shock defeat for Henley after they had taken a 3rd minute lead when Dan Hodgkins awesome opener with a run down the right wing, he lobbed the GK from 45 yards which sailed over his head. That was when things went wrong for Henley with two mix ups at the back between Defence and GK allowed Spartans to take a shock 2-1 lead. This was to last only 3 mins however when a Spartans Defender slid the ball through he own goal. A side foot from Chris Key from a corner and 2 more from Dan Hodgkins to complete his Hat Trick made it 5-2 at half time. With only 25 mins gone of the 2nd half Dan Hodgkins scored another 3 to take his tally to 6 for the day. Spartans then went down to 10 men through an injury and already using all 3 of their subs. They managed to pull back a 3rd after a mix up with the officials where the Lineman flagged for offside and the Referee waved play on and Spartans punished Henley for not playing to the whistle. 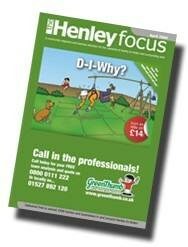 However, Henley still weren't finished. Substitute Chris Chamberlain slammed a shot high into the top right hand corner from 15 yards and Tez Morton completed the rout with a run and lob from 25 yards from the left wing after a mazy run. The 2 teams meet again in the Coventry Telegraph Charity Cup in 2 weeks time at Westfields Road. 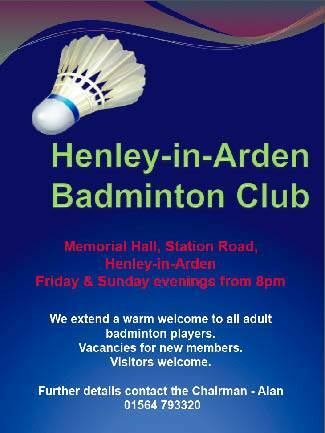 This result now sends Henley Forest back to the top on Division 2. For many youngsters across the region, this is not one of the better weeks in their lives; it's back to school after the long summer holidays. For motorists particularly, it means a return to busier roads and lots of youngsters about at rush hour for the first time in six weeks. Assistant Chief Ambulance Officer, Tracey Morrell, said: “The last thing we want to do is appear like the nanny state, but the reality is that we often see a short term rise in the number of youngsters who are injured in the first few weeks of the new school year. Let’s face it; we’ve all been enjoying the quieter roads on our journeys to and from work. You probably need to factor extra time into your commute so that you aren’t left rushing to try and get there on time putting yourself and other road users at risk. With children as good as wedded to their music, phones and the like, they often aren’t as aware of cars as we’d hope they would be, especially as they re-new friendships and talk about their holiday adventures. “There will also be squads of youngsters riding to school for the first time. We’d ask drivers to be mindful as some may not be accustomed to riding in traffic. We’d urge all parents to ensure that their kids wear a properly fitted helmet and learn the skills to ride safely. Equally, make sure they have the appropriate reflective items for when it gets dark. Both motorists and cyclists need to respect each other. Become a house history detective and learn the skills to unlock the past about your house with a special workshop at the County Record Office. With the expert help of Christine Hodgetts, a local and house historian, you can learn the skills to age houses. Starting with the house itself as evidence, Christine will show you how to date a house by visual clues both inside and outside. 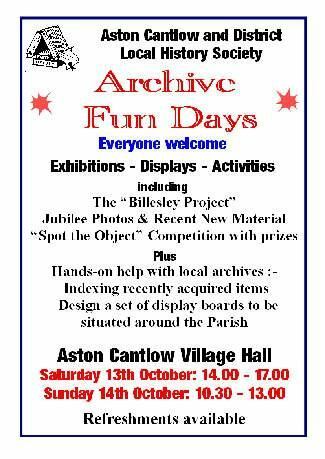 Then using archival evidence such as original photographs, sales particulars and maps you can delve deeper into the history of your home. With lots of information online this workshop will include practical tips on how to search the internet effectively. 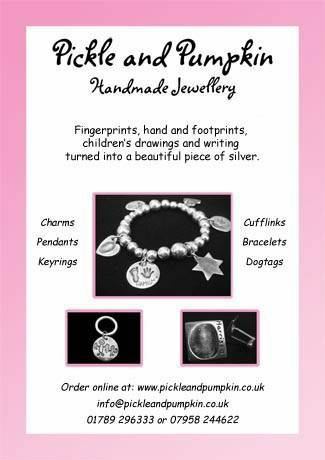 The workshop is on Saturday 15 September from 9.15am to 12.15am at Warwickshire County Record Office, Off Cape Road, Warwick CV34 4JS. 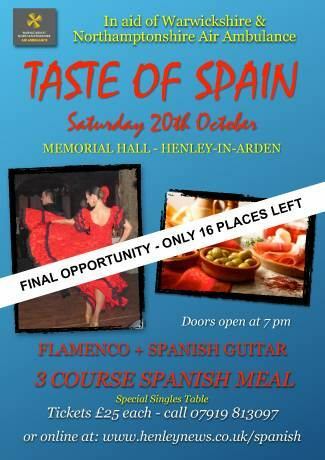 Tickets are £12.00 and can be booked in advance by calling 01926 738959. The Autumn term is just beginning and it is time to sharpen our pencils and gear up for a new musical challenge. This part of the choir year is always full of anticipation – what will our new music be like? How will our audiences like it? What sort of personal challenge does it bring? Will I find new friends amongst new members? We look forward to the wonderful moment when we come into sync with each other and start making a beautifully blended sound and the musical notes on the page come to life – and to great fun in the process! Gareth Malone has done a sterling job in bringing the joys of choral singing to a wider public and we would like to introduce you to our own choir in case you are moved to find you own voice and join us. Solihull Choral Society (SCS) is a highly respected choir in the Solihull district. We have some singers from the Henley area too. We are about 50 mixed voices strong and sing a huge range of music spanning some 600 years. Meeting to rehearse every Wednesday evening at Sharmans Cross School, we aim for a professional result under the masterful direction of Andrew Fletcher. Andrew is in his own right an esteemed composer, organist and tutor and he leads the Society in achieving a sweet blend of melody and harmony in each and every performance. We sing a mixture of religious and secular music – just whatever is gorgeous and brings pleasure. 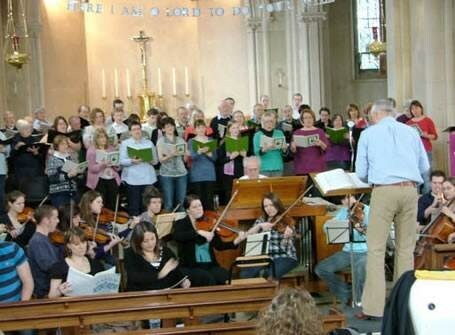 Although we sing quite a lot of religious music we are not linked to a faith – it’s just that a vast amount of choral music has religious origins and much of it is spectacular. Generally we give 4 concert performances a year including Christmas. We vary singing with an orchestra or organ accompaniment with a capella (unaccompanied) style. The choir always welcomes new members to its ranks ; not surprisingly tenors and basses are highly desirable! We also offer bursaries for young singers in full-time education to sing and learn with us. We are regularly joined by older pupils and students looking for the experience of an adult choir and, in many cases, solo singing opportunities. On September 19th we are holding an OPEN REHERSAL for people to come an enjoy an evening of music making with us. We will be rehearsing ROWLAND LEE’s Requiem which will be our next concert performance on November 17th at Olton Friary. We are hoping to recruit some new members in good time to be able to sing with us in this fabulous work. If you are a prospective singing member you can give us a try – if not, you are more than welcome to come and listen. This will be from 7.30 pm to 9.30pm at Sharmans Cross Junior School, Sharmans Cross Road B B91 1PH. There is no charge and music will be provided. For more information about this event and the choir please visit our website www.solihullchoral.org.uk or telephone Geoff Wyatt on 0121 705 0311. We look forward to meeting you. Ornamental walls and pathways were the topic of the talk given to Ullenhall Gardening Club on 28th August. Roger Turner, architect and garden designer, showed members the ‘hard’ garden features that he and others have introduced to gardens at home and abroad. He gave some useful tips to those of us brave enough to try laying our own paths and building our own walls. Where you have a steeply sloping garden, it is better to have steps in sets of about four, then a half landing before continuing with another four and so on. This is both better for the person climbing and for the eye of someone sitting and looking at the steps. Where there is a need for curving pathways, a better effect can usually be achieved using gravel, pebbles or cobbles, as the hard, straight edges of bricks or slabs are not sympathetic to the feel of the curves. Walls should be kept to under 2 feet high, if at all possible, to avoid looking at the straight lines defined by them; if you keep them low, they can be easily hidden by foliage and flowers. This is particularly important when terracing a steep slope. 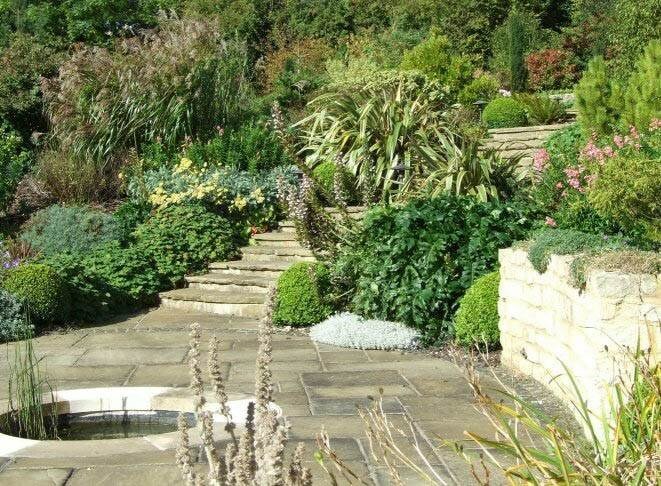 Where there is a need for a large area of slabs, perhaps for a patio, you might wish to soften the hard paving feel; Roger showed a photo of one where he had set little daisies in the cracks between slabs, giving a delightful effect. A photo from Barrington Court showed another large ‘paved’ area, softened by weathering and age; a herringbone brick pattern designed by Edward Lutjens. Seats, canopies, tables and chairs, statues and ornaments were all addressed and it became clear that Roger was not a proponent of the type of Chelsea Flower Show garden that is largely wood, steel and glass with few growing things! 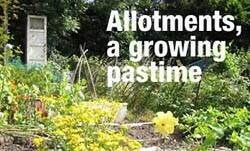 Next month the topic will be “Making your garden or allotment more productive for vegetables” by Reg Moule who broadcasts on Hereford and Worcester Radio. He has entertained the Gardening club on at least one previous occasion. 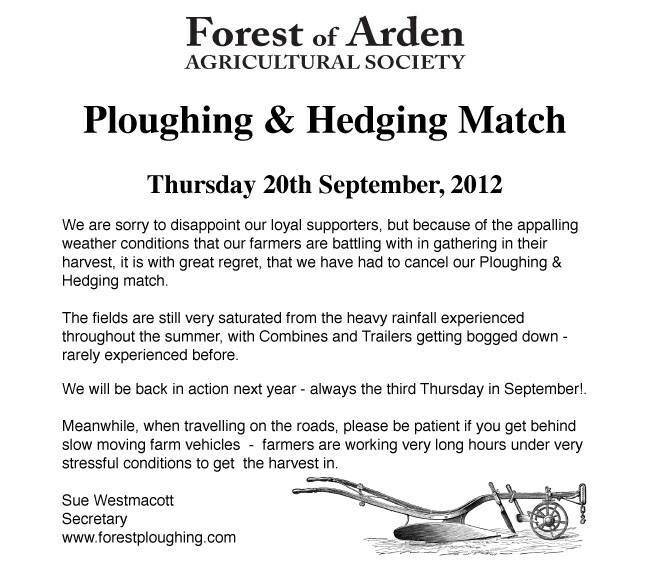 The meeting will commence at 7:45 pm on 25th September in Ullenhall village hall. Have you been inspired by Team GB’s Olympic success to lead a healthier, more active lifestyle? Winning an Olympic medal takes years of hard work and commitment but making a few small changes to your diet and routine today can get you feeling healthier within a few days and start to reap the benefits long term. Kick start your way to a healthier lifestyle by giving your body and your mind, the best kick start to the day with a healthy, nutritious breakfast. Some of us grab a piece of toast washed down with a tea or coffee, some of us throw down a bowl of cereal and some of us even go without anything. By mid morning the hunger pangs start as our energy levels dip and we grab a biscuit or two as lunch seems a long way off and so the roller coaster of energy highs and lows begins. Starting the day with a balanced breakfast of protein and wholegrain carbohydrates will provide a slower, more sustained release of energy to keep you feeling fuller for longer and help you avoid those energy dips and cravings for sugary snacks. have a nutrition packed, protein shake blended with fruits. Get in the habit of doing this every morning and you’ll soon feel the difference and be ready to go for your own gold. Stephanie Boyle is a wellness coach and Herbalife Independent Distributor. For further information or a free wellness check call 07825 999122 or visit www.facebook.com/feelgreattoday. A few months ago, I wrote about the green deal, which is to be introduced soon. 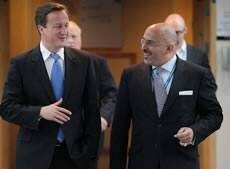 The green deal will provide loans to finance energy efficiency improvements such as insulation but it seems to me that the present arrangement of low cost or free insulation is a much better deal. With the currently available free insulation the full financial benefit kicks in immediately, so now is the time to get insulated before the free/low cost insulation offers end when the green deal starts. At the time of writing the previous article, the offers of free insulation were closing at the end of July. The reason for writing about insulation again so soon is that EnergyCare Group has just announced that they are providing free insulation until 21st Dec. They also offer low cost boiler servicing. Call them on 0800 783 7946 any time of day or night. A quick Internet search shows that the following are still providing free insulation, often with incentive payments for applicants meeting certain criteria. Except for British gas, you don't have to be an existing customer. www.tescohomeefficiency.com/free-insulation/ are offering £200 cash for applicants meeting certain conditions such as being on benefits. Wow!! Call 0800 321 3456.
www.britishgas.co.uk/freeinsulation Free only for British Gas customers. For anyone over 70 or who receives eligible benefits they may help with the cost of clearing your loft – just let their advisor know during the call. Call 0845 971 7731 to register. www.edfenergy.com/products-services/for-your-home/our-services/home-insulation.shtml offers a free Visa card prepaid to £100 for applicants meeting certain conditions. Call 0800 015 7785. Even if you do not qualify for the special offers, free insulation is still a fantastic deal because the savings in energy bills start straight away and continue year after year. Energy prices will continue to rise. Insulation helps to counteract the rising bills. 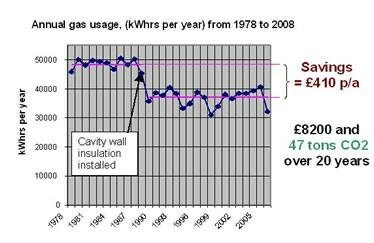 The graph right shows a real example of the energy savings and £ savings achieved by adding cavity wall insulation to a largish 4-bedroomed home in Henley. Over time, the savings mount up to a substantial sum. Installing loft insulation approximately doubles the savings. A smaller property such as a 3-bedroom semi will save about £150 pa by installing cavity wall insulation and £190p/a by installing loft insulation. Installing insulation is not only financially a winner but it is one of the simplest and easiest ways to reduce Carbon Pollution and help the environment. Call one of the above as soon as you have a minute, to take advantage of these win win offers before they disappear. As I’ve written in this column before there have been gradual changes to the way employee concerns are handled, much of them intended to reduce the pressure on Employment Tribunals. There has also been some interesting case law which is worth noting. These days it’s all about following procedure: an employer can lose a tribunal case, even of a dismissal appears justified, by not following the correct procedure or by failing to act reasonably in the circumstances. If however the employers can show they did follow procedure and acted reasonably in the circumstances then they should have a much better chance of defending their case. Here’s a recent example: there are times when an employee just doesn't get on with their colleagues or their behaviour disrupts the team. If the employer's reasonable efforts to resolve the situation don’t improve matters, or it’s clear that the relationship has totally broken down, the employers may feel the only solution would be to dismiss the problematic individual. But can they do so fairly and what are the risks? Could be a tricky one. If the parties can no longer work together, because the trust and confidence between them has broken down, this might be considered a fair reason for dismissal, provided it can be shown to be genuine. Here’s where case law comes in. In the case of Perkin v St Georges Healthcare NHS Trust the Court of Appeal said that it is possible for an employer to fairly dismiss an employee as a result of their personality, provided a fair procedure has been followed. However, it stressed that personality itself cannot be grounds for dismissal but the manifestation of that personality can be if it is serious enough to justify dismissal, bearing in mind the position held by the employee. Any such personality dismissal must be seen to be fair in all the circumstances and employers will need to show that they have taken all reasonable steps to try and resolve matters before considering dismissal. ACAS set out best practice in their Code on disciplinary and grievance procedures which is always worth following. Warwickshire Trading Standards is warning residents to be careful when using dating websites after complaints that some are being used by criminal gangs operating in Africa and beyond. The criminals give the appearance of genuine dating website users to develop relationships with potential victims. Email and messaging services are used and photos sent, but the gangs usually decline video calls to prevent their real identities being revealed. After a period of time of the relationship developing, money is requested, usually small amounts to cover expenses for family medical care, general bills etc. It is often claimed this can be paid back when a larger inheritance or similar is gained. The criminals then ask for much larger amounts for fees and administration associated with the bogus inheritance. Requests for money will continue to come until the victim realises they have been conned or their savings are spent. Criminals are using payment protection insurance (PPI) refunds to steal money from consumers warn Warwickshire Trading Standards. The gangs phone or email residents at random, telling them they are entitled to thousands of pounds of PPI reclaims. The potential victims are told to send over £100 in Ukcash vouchers to receive their claim. The money is sent but the victims receive nothing in return. Consumers are warned not to pay up front fees to anyone who claims they are owed PPI refunds. Further, consumers who think they are entitled to PPI refunds should be aware that there is no need to pay any trader to reclaim them. Even legitimate no win no fee PPI reclaiming businesses will take a fee (as much as 30%) for carrying out this work. For advice on claiming for free, click here. The JPC Spends TWICE as much as other similar parish councils. 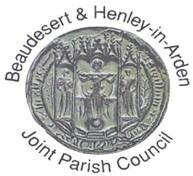 it is the Henley and Beaudesert council taxpayers who have to pay. 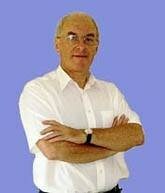 On Tuesday September 18th Ashley Grove will be giving his presentation "Gambia" from 7.45pm in the Baptist Church Hall. 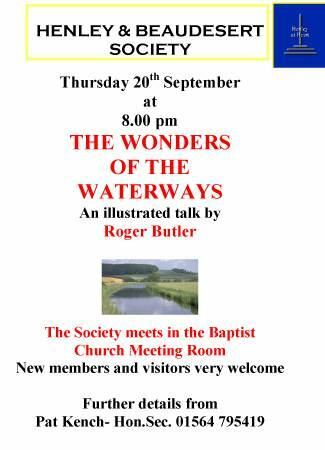 Anyone interested in wildlife will enjoy our informal meetings and make new friends. 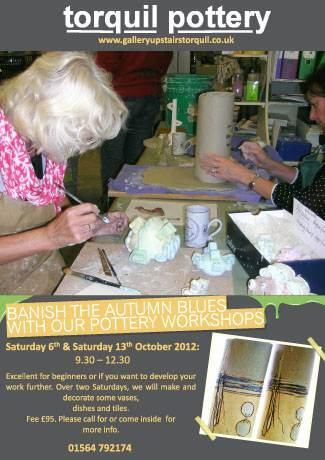 11th September – Margaret Ecclestone will provide a demonstration called ‘A Touch of Inspiration’. 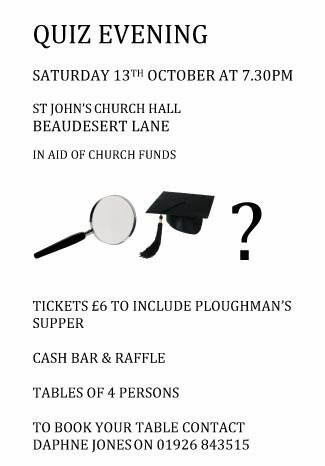 Tickets available on the door (£5.00).